I’m of the opinion that as soon as the calender rolls over to November 1st, anything and everything Christmas-related is fair game. Apart from red paper cups of coffee drinks and stores lining their shelves with Christmas decorations, the best part is seeing each and every town preparing to celebrate in their own way. Whether it’s an annual Christmas lights display or Santa’s arrival, Island towns know how to do it right. As kids start to countdown the days, so too will I be counting down to Santa’s early arrival. Christmas parades are a vibrant part of that tradition on the Island – here are a few to look out for! Santa’s stop on the North Island finds him at Carrot Park to help spread Christmas cheer with the annual Christmas tree lighting following the parade. Friday, December 2, 5:00 p.m. This community tradition continues – complete with the Big Truck parade and Christmas tree lighting – features loads of fun-filled live entertainment! This year’s theme of “Fairy Tales Do Come True” is sure to inspire creative and colourful floats to charm kids both big and small. Saturday, December 3, 5:00 p.m.
With each year promising to be bigger than the last, this year’s Santa Claus parade is gearing up to be a true community-wide event. Saturday, December 10, 10:00 a.m.
Why watch him go by on a float when you can nosh on flapjacks with Santa himself? This annual tradition is held at the Ucluelet Community Centre. Saturday, November 26, 1:00 p.m. Bundle up for a chilly afternoon of Christmas cheer, winding up in Diana Krall Plaza with musicians and a chance to meet Santa! 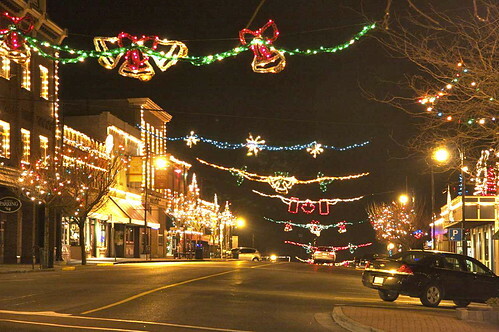 Thursday, November 24, 6:30 p.m.
Long known for its sparkling displays, Santa will help light up the Town of Ladysmith before the Kinsmen Parade makes its way along First Avenue. Saturday, December 10, 5:00 p.m. Curious and crafty, Main Street in Duncan transforms into a heritage-inspired Winter Wonderland for its annual parade. Saturday, November 26, 5:45 p.m. 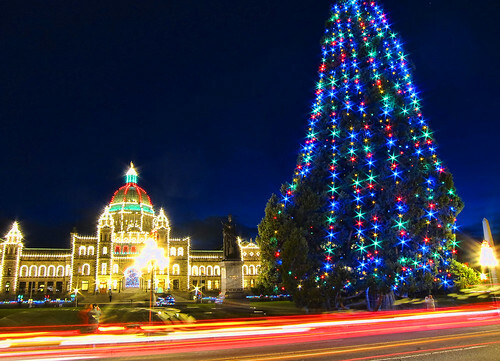 Downtown Victoria’s sidewalks will be lined with this cherished annual event featuring Saint Nicholas himself! Does your Island community have a Christmas event I didn’t mention here? Send me an e-mail and let me know!